Unfortunately, almost everyone loses a loved one at some point in their lives. The most difficult part of this experience is usually dealing with grief. However, figuring out how to distribute a loved one’s property after paying off their debts can add to the stress of grief and loss. To help with this process, we have provided an overview below of what steps to take after a loved one has died. When a loved one dies in West Virginia, his or her property, including any rights to a personal injury or wrongful death claim, must pass to new owners according to West Virginia’s probate laws. These laws govern the creation of a last will and testament, what happens if someone dies without a will, and how that person’s estate will be administered after death. Below is a summary of West Virginia’s probate laws and how to get appointed as a representative of the estate of someone who has died. West Virginia’s probate laws can be found in Chapters 41 and 42 of the West Virginia Code. If a loved one dies with a will, probate is the court process that validates his or her will after they die, appoints an executor to administer their estate, and assists that person in gathering their loved one’s assets, paying their debts and distributing their remaining property according to the will. In West Virginia, not all property has to go through the probate process, though. For example, life insurance proceeds and jointly owned real estate may pass directly to beneficiaries without having to go through probate. If a loved one dies without a will, he or she is considered by the courts to have died “intestate,” and their estate will still require probate. A representative of the estate will still have to be appointed, and they will be called the administrator of the estate. One of the main differences in dying without a will is West Virginia’s intestate laws will determine who inherits what from the estate instead of what the person who died may have wanted. That’s one of the many good reasons why creating a will is important to protecting our loved ones. At West Law Firm, we focus exclusively on helping people with personal injury and wrongful death claims recover monetary compensation for their losses. So, when a client wants to create a will, we usually refer them to an estate planning lawyer. Estate planning attorneys typically focus on creating wills and handling other legal matters related to trusts, estates, and asset protection. There are also low cost and free online legal services, like Legalzoom.com, that can help you create a last will and testament yourself if you need a simpler will. However, we recommend consulting with an estate planning lawyer before deciding whether one of these services is right for you. The West Virginia Bar’s referral service can help you find a lawyer who focuses on estate planning and wills. Here is a link to their site. However, if you have lost a loved one due to an automobile accident, dangerous work condition, or any other incident involving negligence like medical malpractice or nursing home abuse, we invite you to call one of our experienced wrongful death lawyers for a free consultation at 1-877-943-WEST (1-877-943-9378). The appointment of the estate’s personal representative is one of the first steps in the West Virginia probate process. The representative will be called an executor if there is a valid will. If there is no will, the court will appoint what is called an administrator of the estate. Typically, a person has to apply to the court to be an administrator, and it’s usually a spouse or other family member. How to get appointed Executor of the Will or Administrator of the Estate in West Virginia? The executor or administrator must take an oath before the county court and file a bond unless the will specifically does not require a bond. Sometimes the court will not require a monetary bond even when there is no will. Below is a simplified summary of the steps a person must take to get appointed as an administrator or executor of an estate. 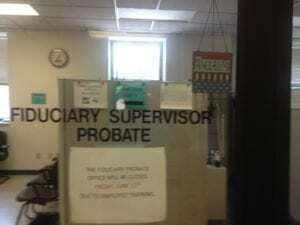 Go to your local county court house and find the probate office. 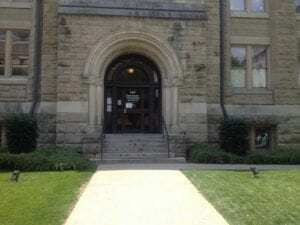 In Kanwha County, West Virginia, estates and wills are overseen by the Kanawha County Commission Department of Fiduciary & Probate Department. 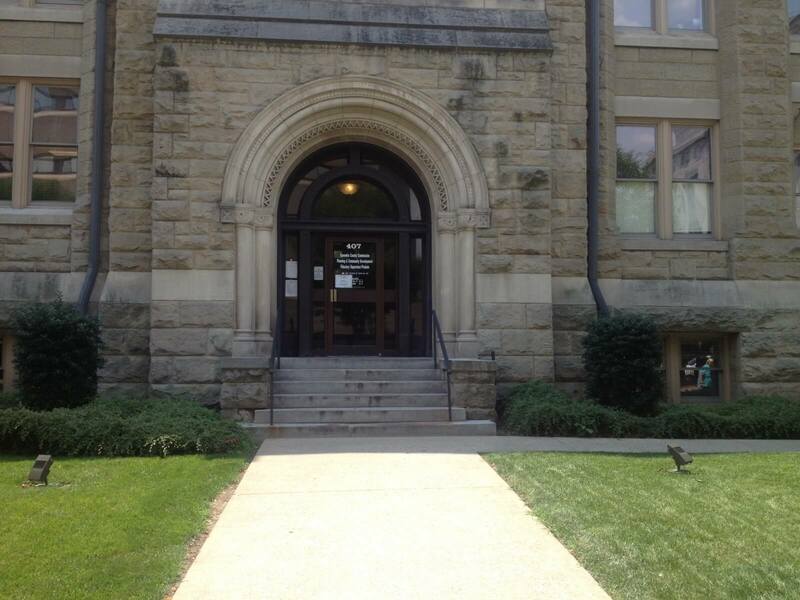 Their office is located at 407 Virginia Street East, Charleston, West Virginia, in the old Kanawha County Court House to the right. Here is a link to their website and forms, including probate checklists. If in Kanawha County, walk into the office door that reads, “Fiduciary Supervisor Probate.” Explain to someone working there that you want to be appointed representative of the estate of your loved one. They will ask you if your loved one died with a will or without a will and give you the appropriate form depending on your answer. Then, fill out the form to the satisfaction of the Fiduciary Supervisor’s Office. They are usually compassionate and will help you with most questions you may have about the form. Once the form is approved, you will be sworn in as the administrator or executor and provided with an official document appointing you as representative of the estate. You do not actually have to appear before a judge to be sworn in. The office workers will likely swear you in, making it an easier process. If your loved one died as a result of an accident, negligence or other misconduct, his or her estate and you as a beneficiary may be entitled to monetary compensation. To learn about your rights and options, please call one of our experienced West Virginia wrongful death lawyers for a free and confidential consultation. Our toll free number is 1-877-943-WEST (1-877-943-9378). With West Law Firm, there is no fee until we recover money for you and/or your loved one’s estate.